With a land mass of almost 114,000 square miles which includes the Grand Canyon, Arizona was the last of the contiguous states to join the union in 1912. Since that time, Arizona has become home to almost 7 million people and now supports every type of contractor imaginable. 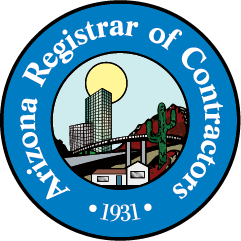 Arizona’s contractor licensing board requires all contractors who enter into any contract that exceeds $1,000 or that requires a permit to be licensed by the state. Arizona contractors are required to post a surety or cash bond with a face amount that is predicated on the size of the job. The state licensing board also requires a workers’ compensation policy to be in place if the contractor has one or more employees. We encourage all contractors who are plan to do business in the State of Arizona to contact the Arizona Registrar of Contractors for licensing information. Business liability resulting from claims for bodily injury or property damage from third parties. customers, you could be held liable for actions that result from products and their installation. Legal Costs – Every legal action filed against your company must be responded to and defended. Here is where your general liability insurance is invaluable. Arizona is considered an NCCI State when it comes to workers’ compensation. This means that classes and rates are set by the National Council on Compensation Insurance. 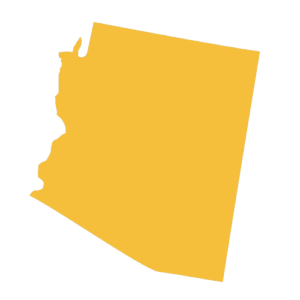 The state of Arizona requires all contractors with at least one employee to carry workers’ compensation and enforces substantial fines for businesses who neglect this rule. Your workers’ compensation protects your business and your employees. Employees are covered for injuries and illnesses that are work related and cannot file claims against their employer if a workers’ compensation policy is in force. Arizona contractors that use vehicles for commercial purposes should only depend on commercial auto insurance to cover their liability for injuries or property damage and repair or replace their vehicles in the event of an accident or theft. Contractors that rely on personal auto insurance will likely find that coverage will not be available if the vehicle is regularly used for commercial purposes. while in transport, in storage, or at the jobsite. Fairbanks Insurance Brokers provides affordable toll and equipment coverage using Inland Marine Insurance coverage. Like the state of Arizona, most states require contractors to post a surety bond protecting the state before a license will be issued. Also, many large customers and government agencies will require a bid bond before they will even review your company’s bid for a project.